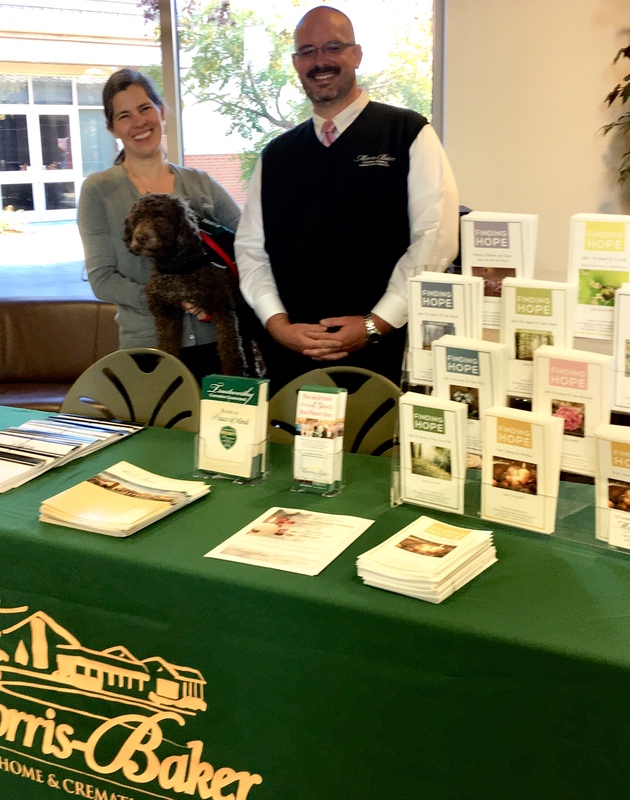 Shuly Cawood, Morris-Baker’s community relations director, and Mike Richards, our aftercare coordinator, spent Monday morning meeting community members at the Johnson City Senior Center’s Diabetes Health Fair. Kibbi, the funeral’s home’s therapy dog, even showed up to meet anyone who came by our table. The Diabetes Health Fair was from 9 a.m.-noon on October 30, 2017 at the Memorial Park Community Center. Testings and screenings were available, along with information from many business and community organizations who serve the senior community. Thanks, Johnson City Senior Center and Patty Altman, for all that you do for our community! If you are interested in planning ahead for your funeral arrangements, please click here for more information. To learn more about our therapy dog, please click here.